Recently a product came to my attention from a vendor I did not expect. 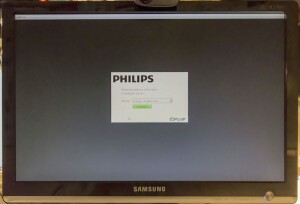 Philips introduced an integrated PCoIP zero client they call the Philips Cloud Monitor Base, model SB4B1927VB . 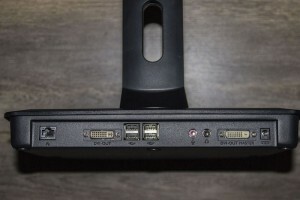 It comes in the form factor of a monitor stand, where the zero client is built into the foot. Now, we’ve seen our share of thin and zero clients, although this market is not really diverse in products. Wyse/Dell is the market leader, HP also has a big portion of that market, too. Then Igel comes to mind as a brand and, well, that’s about it. There are more vendors but none of them have a significant market share. 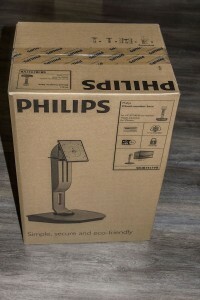 So now Philips is entering this marketspace with this device. When unpacking the device, you notice the pretty large foot in which the zero client is incorporated. It sure is no space saver but it will not tip over easily either. 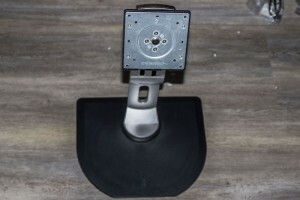 The stand itself can be modified in height and tilt and the foot can turn left and right, so you can modify the position in almost every direction. Overall, it is a well finished monitor stand that feels very solid. 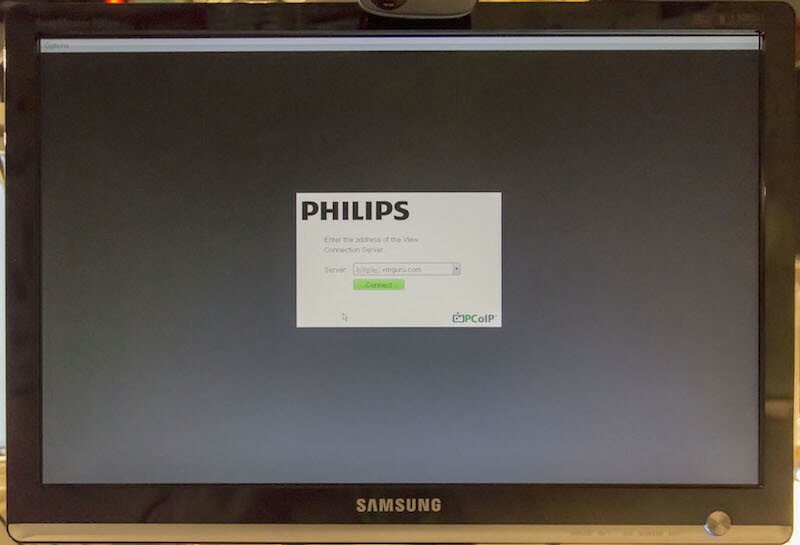 Philips’ idea is that you purchase this product in combination with a monitor of your choice (preferably Philips, of course). The stand therefore has a VESA mount to which you can mount the monitor. Included in the box are all the cables you need to connect the thin client to power, the network and the monitor. A separate power-brick completes it all. ve solved that problem and would result in only one power outlet needed. Now you need to connect the display you attach, separately. This could have been a little bit better thought through by Philips. are plugging in the cables and booting up. As this is a zero client, it is very fast in showing you a login window. You have several connection options, when you go into the menu. 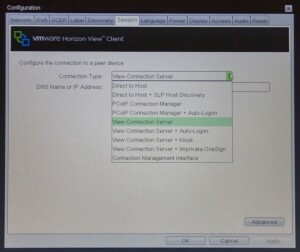 The default option (connection server) should work fine when you’re on the LAN where your View install also is. 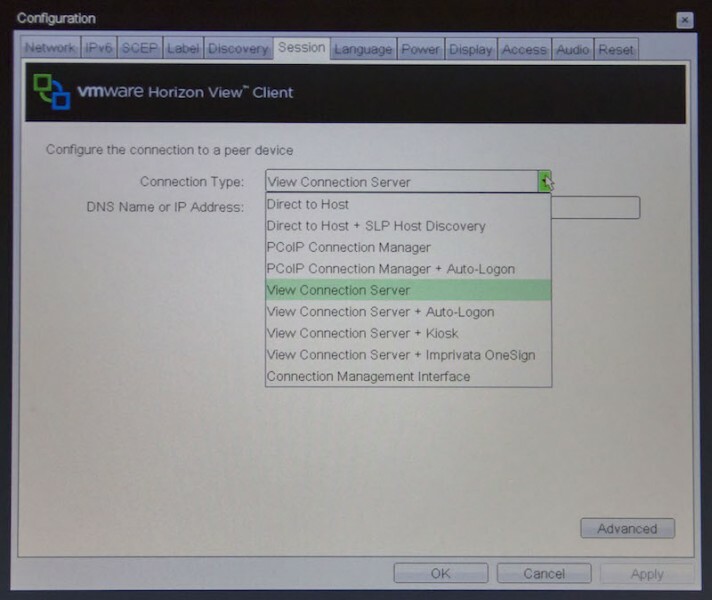 Other options include an Imprivata option and a direct connection on IP or DNS name basis. The client is noticeably quick. Screens are displayed quickly and you are not staring at half rendered screens. The screen I attached does not support full HD but the hardware seems to have no problem with a resolution like that. The stand can carry op to 29 inches of screen real estate. That should be sufficient for most tasks. The WQXGA resolution (2560 x 1600) supported at screens over 27 inch. Even 29 inch ultra-wide screens by LG or Dell (2560×1080) can be mounted. Screens like that allow you to have, for instance, two Word documents next to each other in a proper readable resolution. One thing I find a bit irritating: the button of the device is positioned on the middle of the foot, right in front of you. You can easily push it by accident, resulting in the session disconnecting. It happened when I was testing. Maybe Philips can move this button to the side when there will be a revision of this product. Technically it’s a very good client. In the time I spend with it, I could not really find a serious flaw. The issues with the cables and the power button are minor ones. Software-wise it seems to work fine as well. 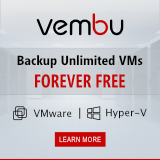 Connecting to our VMGuru.com VDI Test environment, I was actually positively surprised how snappy the client responds. The Teradici chip does a good job. I wanted to test audio/video as well but our test environment is not finished yet, so I assume for now that it will not be a problem, judging by the performance. Overall, the hardware is very convincing. Also, the power consumption is very low. If reducing power cost is on your to-do list, this is a good candidate for your list. Browsing the Philips website, the only thin clients/zero clients I found dated back to 2003. This model, introduced in march 2014, is a pretty new road for Philips. There are actually two versions of this device. There also is a Citrix edition (just replace the V for a C in the part number). One can wonder who wants to buy this: A zero client in the foot of a monitor stand. So, if you buy a thin/zero client, you need a monitor. 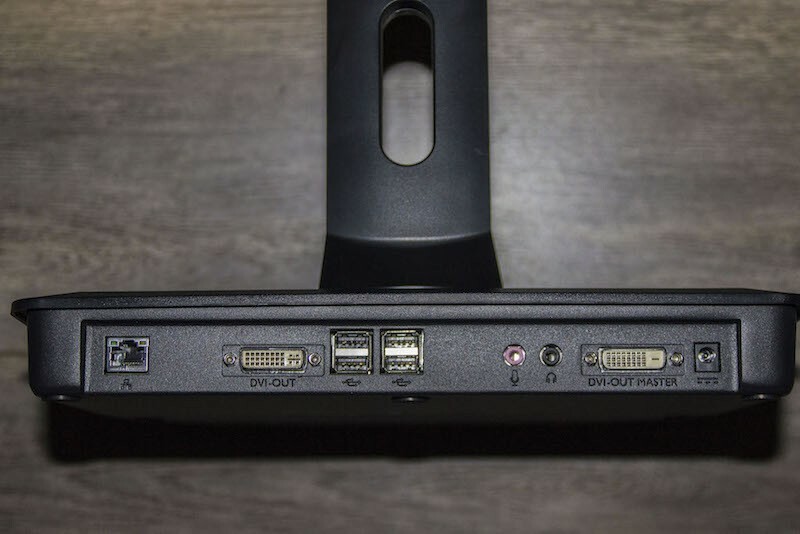 A monitor comes with a stand. When you’re not planning on mounting the display on the wall, you will probably use the stand. Why not buy a stand with the thin client embedded? 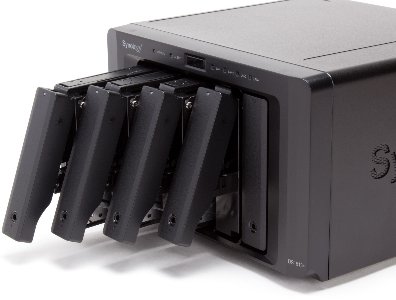 It saves you from dealing with an extra device on your desktop, no matter how small. Then again, the stand is far from subtle. The alternative option would be to buy a small zero client with VESA mount and place that behind the monitor. As a product, it certainly is the only one of its kind, which does not have to be a bad thing. Lastly, there is the fact that Philips, even though a well known technology company, is not known for thin clients or zero clients. Currently, these are the only ones in the portfolio. Maybe Philips can shed a light on this product-line and where they plan to go with it. It is a very fine product, but if this remains the only product of its kind at Philips, I assume the line of customers who want to buy it in larger quantities, will be limited. More information about the Philips Cloud Monitor base can be found here.